IRIS will take your software development project from on-track to fast track. Our long-term perspective allows us to stay one step ahead on any project, providing the best fitting resources when they matter most. 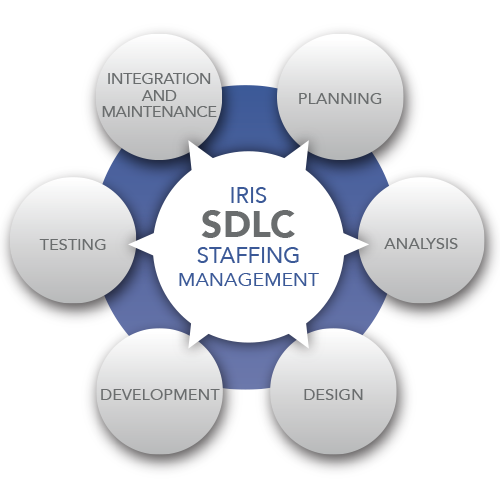 As SDLC support specialists, IRIS will analyze your project goals and resource needs and then fill in the blanks, allowing your company to direct focus where it’s needed most. Putting expert resources into the right positions only when they are most needed, IRIS will add value and reduce uncertainty. Where ever you are in the build process, IRIS can help. Learn more about IRIS client support. Let's talk about what Iris can do for you . . .